Hollywood stars have paid tribute to the Oscar-winning One Flew Over The Cuckoos Nest director Milos Forman after he died at the age of 86. Antonio Banderas was among those remembering the filmmaker, who was also known for his work on 1984's Amadeus, 1996's The People vs Larry Flynt and his 1999 work Man On The Moon. "Milos Forman has left us. Genius of cinematography and master in the portrayal of the human condition. RIP," Banderas wrote. Former collaborator writer and producer Larry Karaszewski, who worked on Man On The Moon and The People vs Larry Flynt, said Forman was "our friend and our teacher". "He was a master filmmaker - no one better at capturing small unrepeatable moments of human behaviour. We made two movies together and every day spent with him was a unique adventure," he said. "Milos loved life. I will miss his laughter. "Hot Fuzz director Edgar Wright also remembered the Czech-born director on Twitter. "Very sad to hear that the great director Milos Forman has passed away," he wrote. "He had a tremendous filmography that documented the rebel heart and human spirit. I have seen One Flew Over The Cuckoo's Nest enough times to be able to silently mouth along with the movie. RIP." One Flew Over The Cuckoo's Nest went on to become one of the director's best known works, with the 1975 film starring Jack Nicholson winning five Oscars, including Forman taking home Best Director. 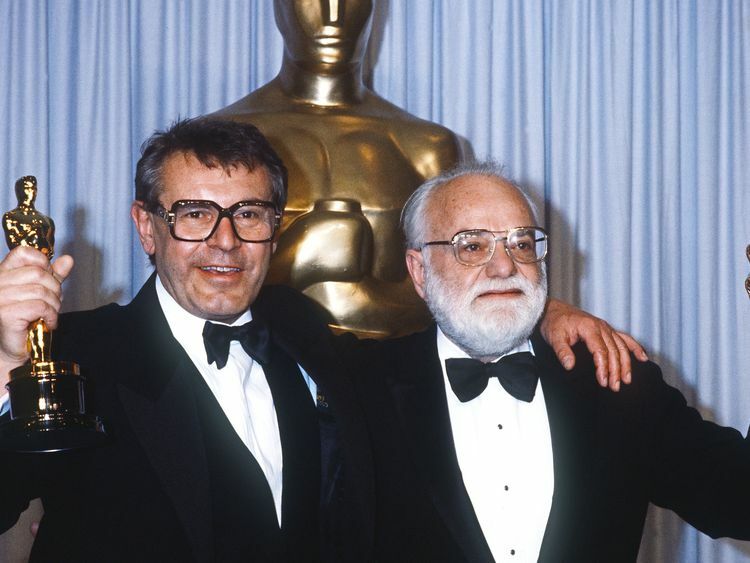 He was named Best Director once more at the Oscars nine years later for the Mozart biopic Amadeus.The tributes come after Forman's manager Dennis Aspland confirmed he had been told by the director's wife Martina that he "passed away late last night".